Tulips from Holland are world famous. If you want to see the Dutch tulip fields in bloom, you should visit Holland from March through to May. Spring flowers are a product of nature and the weather of course has got a big influence on it. 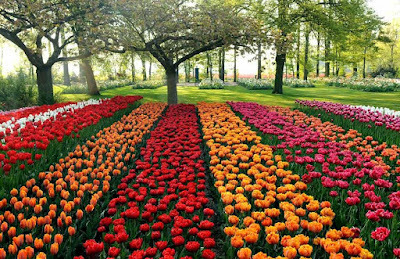 When the weather is cold the tulips grow slower then when the weather is warm. 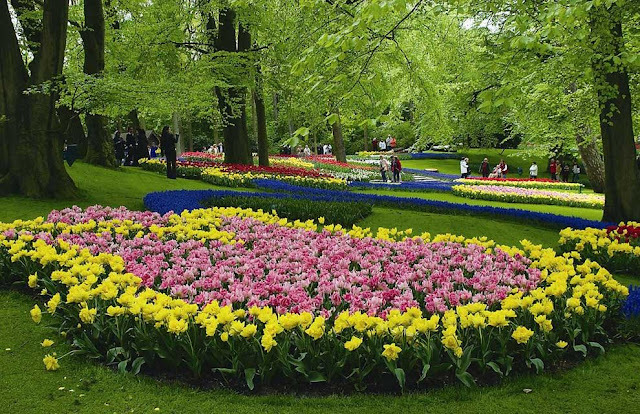 A cold winter and spring will mean that the bulbs flower later. 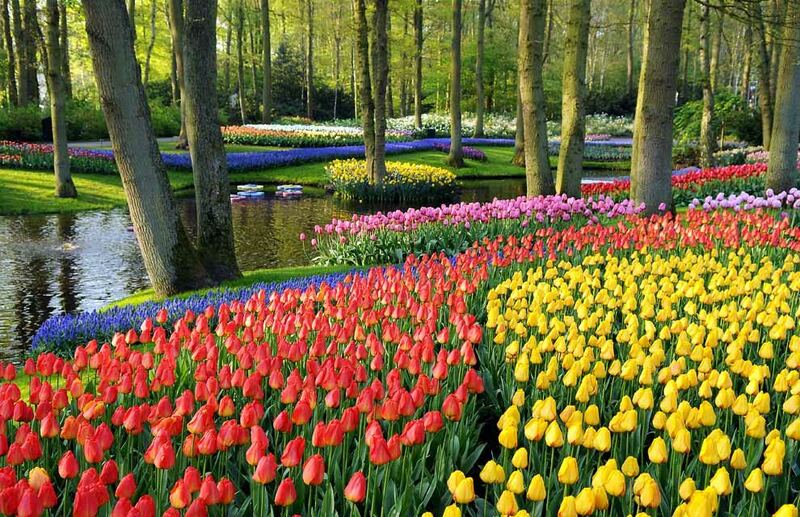 One of the most renowned places to see beautiful bulbs is Keukenhof - this name meaning 'kitchen garden'. 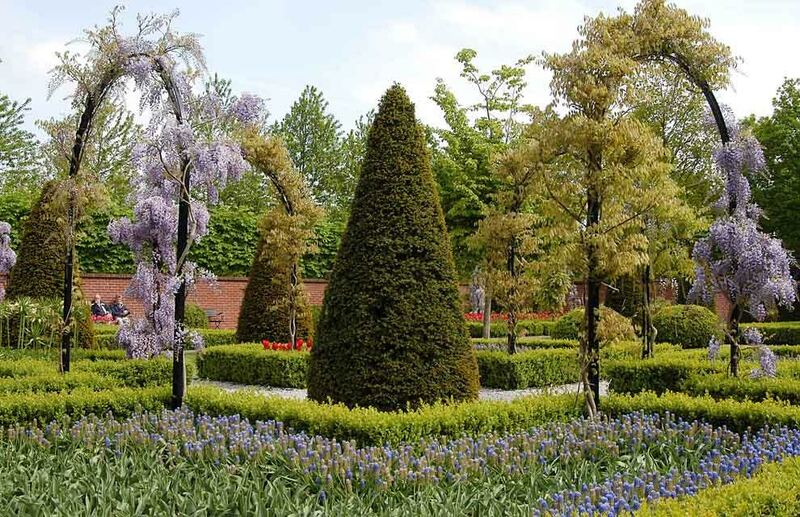 The garden goes back to the 15th century when Countess Jacqueline of Bavaria, Jacoba van Beieren (1401-1436) gathered fruit and vegetables from the woods and dunes for the kitchen of Teylingen Castle. 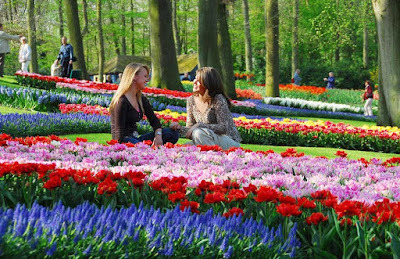 Keukenhof Castle was built in 1641, and the estate grew to an area of over 200 hectares. Landscape architects Jan David Zocher and his son, Louis Paul Zocher (who also designed Amsterdam's Vondelpark), redesigned the castle gardens in 1857. 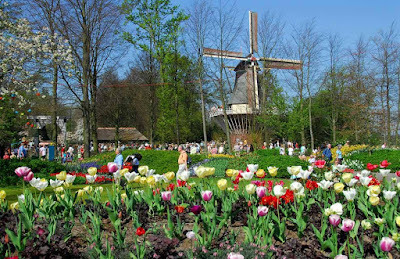 That park, in the English landscape style, still forms the basis of Keukenhof. 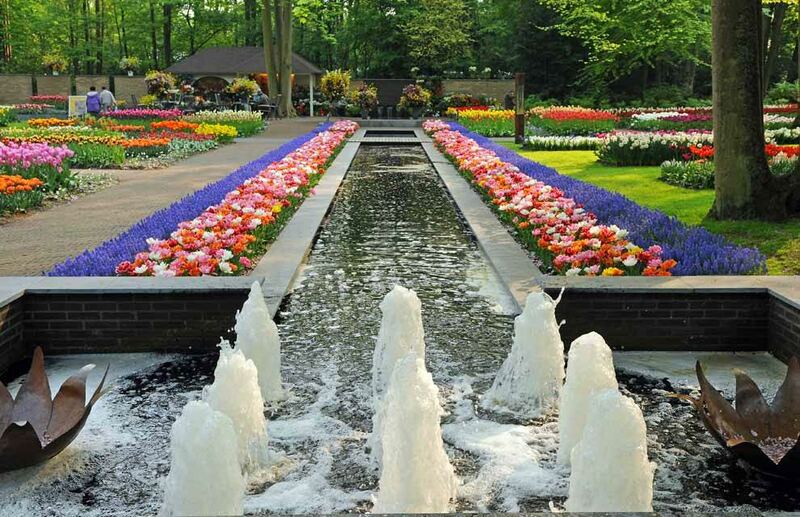 In 1949 a group of 20 flower bulb exporters came up with a plan to use the estate for a permanent exhibition of spring-flowering bulbs, signalling the birth of Keukenhof as a spring park. The park opened its gates to the public in 1950 and was an instant success with 236,000 visitors in the first year! This year Van Gogh was the theme for the display. This park is only open to the public for 8 weeks of the year. 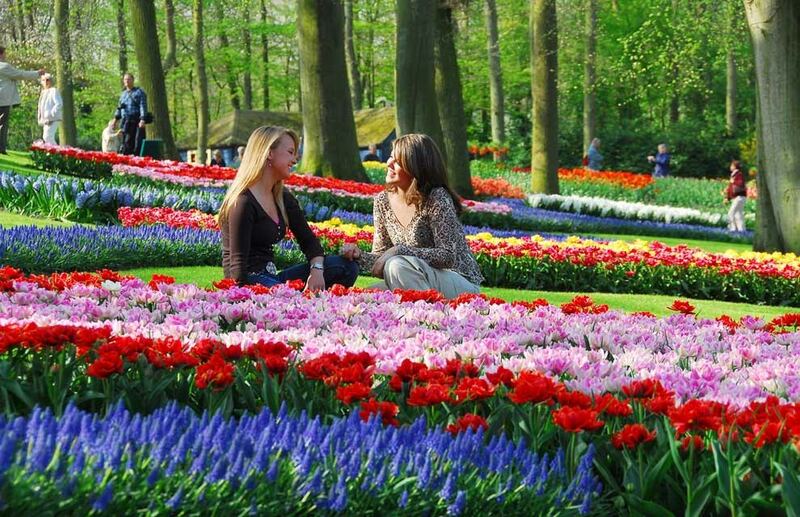 In 2016 Keukenhof (the 67th edition) will be open from 24 March to 16 May 2016. Over the last 66 years this event has become a world famous attraction on the garden/flower calendar. 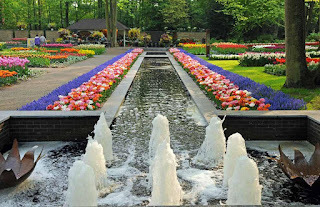 The focus in the park is on the 7 million spring-flowering bulbs, in which the 100 participating companies show their living catalogue. 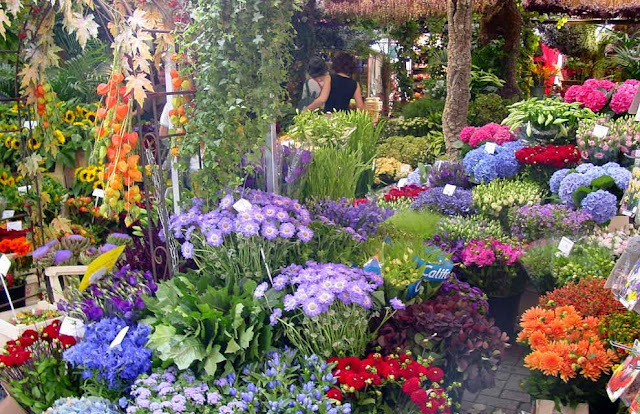 In more than 20 flower shows, 500 flower growers present an enormous variety of cut flowers and pot plants for sale. 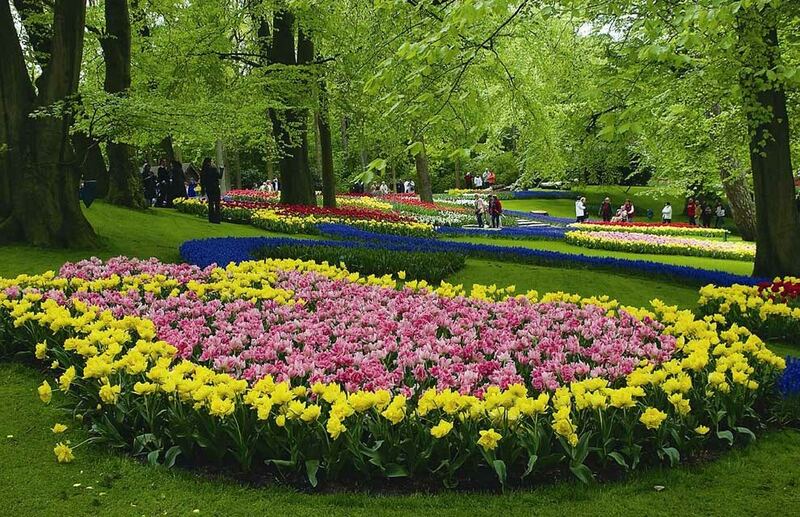 There are many gardens at Keukenhof and four pavilions where tulips, hyacinths, daffodils, orchids, roses, carnations, irises, lillies and many other flowers are displayed. Keukenhof is the platform for these Dutch growers and producers - it is not all about tourists being able to experience the wonder of beautiful flowers but also an excellent opportunity for exhibitors and participants in the flower shows to exhibit their flowers and plants and network with other businesses. There are trade events for growers and this exhibition has strong links with all relevant industries within floriculture. 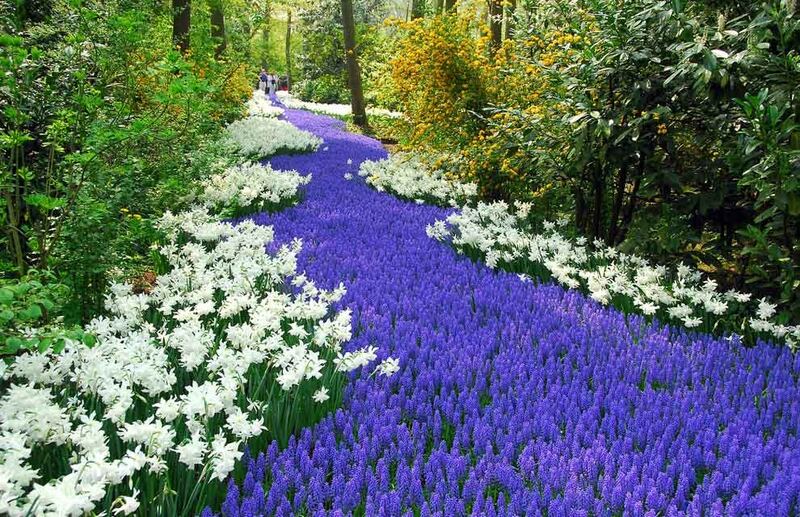 The garden designer has a set theme each year and he creates a special design for each exhibitor, consulting with them on what the colours, heights and flowering times are for their bulbs. The exhibitors ensure that all their bulbs are delivered and ready for planting in the Autumn. For more information please visit http://www.keukenhof.nl/en/ for more information.